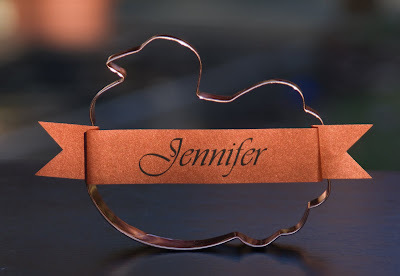 I have a strange fascination with cookie cutters. Why "strange" you ask? Because I don't bake! 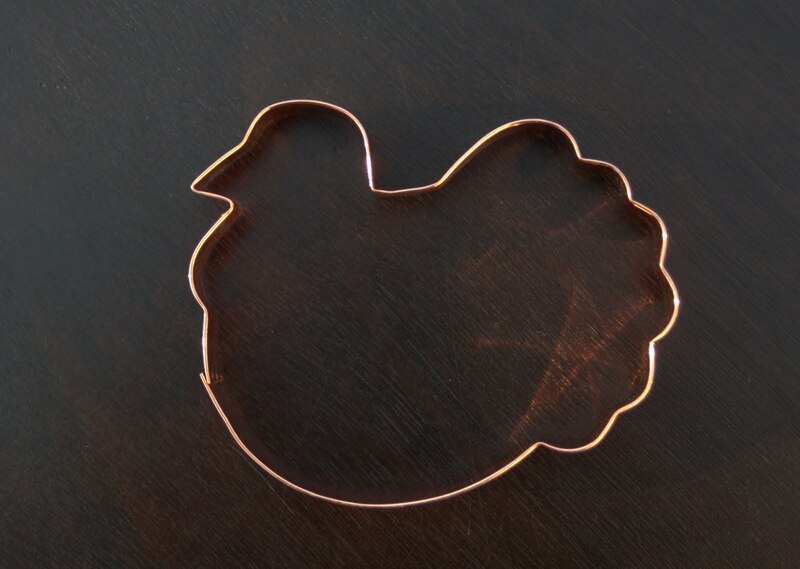 But for some reason I still continue to purchase cookie cutters (that take up a fair amount of kitchen cabinet space I might add). I have figured out other ways to use them outside of baking - remember this, this and this? 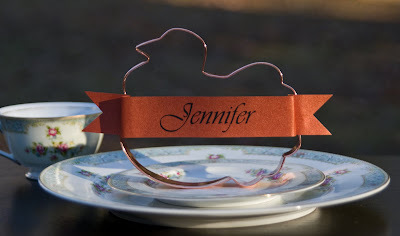 So, continuing in that tradition, I decided to make Thanksgiving placecards using cookie cutters. 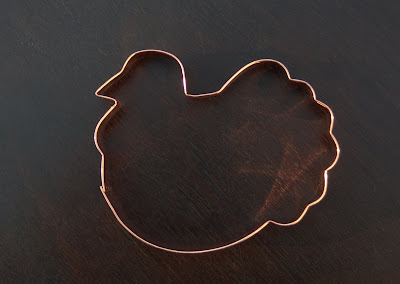 I found this adorable turkey-shaped cookie cutter at my go to craft store (Hobby Lobby). It's a really great copper color which forced me to buy it. Finally, I cut a small triangle at the end of each strip, gently folded it backwards and then attached it to the cookie cutter using glue dots. These are super easy to assemble and you can give the cookie cutters to your guests as favors - 2 for the price of 1! This is too cute!!! I am a new follower! Love it!! 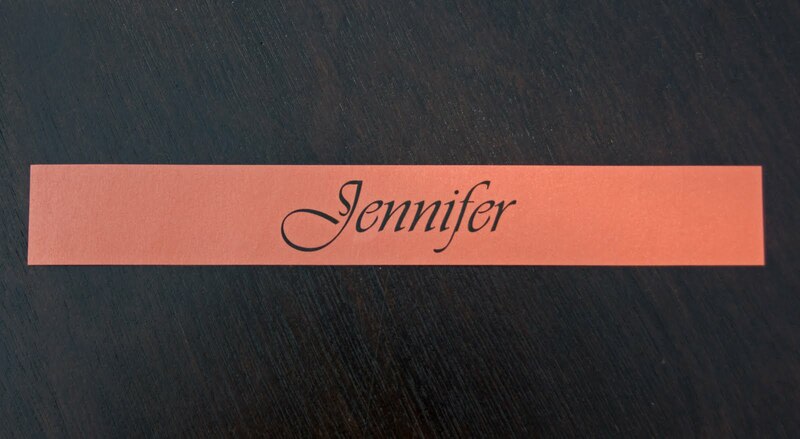 So simple yet so lovely! Found you at Someday crafts!